The PCMH CEC program is another way for us to stand out and demonstrate our commitment to practices that want to be medical homes. Wellcentive, an Atlanta-based provider of innovative Population Health Management and Data Analytics solutions, today announced that two members of its Implementation Team have earned Patient-Centered Medical Home (PCMH) Content Expert Certification (CEC). NCQA developed the PCMH Content Expert Certification (CEC) program in an effort to help practices and other interested parties identify experts with a demonstrated understanding of the NCQA PCMH Recognition program and to provide professionals with a way to validate their knowledge bases. 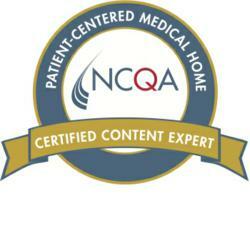 The PCMH Content Expert Certification highlights comprehensive knowledge of the requirements, the application process and the documentation of the NCQA PCMH Recognition Program. This prestigious and professional credential positions experts in the field that are aligned with NCQA's mission to improve the quality of health care. To earn the NCQA PCMH CEC designation, Implementation Team Lead Tracy Webb and Implementation Consultant Wendy Ahrens were required to complete two rigorous PCMH education seminars and pass a comprehensive exam validating their knowledge of NCQA Recognition standards and guidelines, application procedures, survey processes and documentation requirements. “Certified NCQA Patient-Centered Medical Home Content Experts receive thorough training and demonstrate in-depth knowledge to assist organizations applying for NCQA PCMH Recognition,” said NCQA President Margaret E. O’Kane. Since 2005, Wellcentive has delivered physician-facing, population health management and data analytics solutions that help clients improve both clinical and financial outcomes. Wellcentive's cloud-based, scalable, customizable Advance™ solution enables Responsible Population Health Management with industry-leading point of care tools, care gap analysis, automated patient outreach, outcomes reporting, predictive modeling and risk assessment, care management and coordination, and cost and utilization analysis. Wellcentive’s proprietary interfacing platform aggregates and normalizes clinical and administrative data from disparate sources, including EMRs, local and national labs, e-Rx, PMS, health systems, payers, HIEs, and data warehouses. Wellcentive transforms this actionable data into meaningful information that enables preventive care, evidence-based chronic disease management, clinical integration, and participation in performance-based and risk-based reimbursement programs, including Pay-for-Performance, PCMH, PQRS, and Accountable Care. Thousands of providers and their organizations use Wellcentive solutions to deliver high-quality, cost-effective care for many millions of patients. Wellcentive’s leading-edge interfacing platform has more than 1,600 live interfaces with a wide variety of local and national interfacing partners. Wellcentive’s clients include some of the most prestigious physician groups, physician organizations, health information exchanges, professional organizations, and employer groups in the country. Medical homes are the fastest growing delivery system innovation in recent years. Studies show they improve the quality of primary care, as well as patient and provider satisfaction with care. More practices have transformed into patient-centered medical homes by earning NCQA PCMH Recognition than by following any other medical home model, making NCQA’s program the most widely adopted in the country. Since 2008, PCMH Recognition has been NCQA’s fastest-growing evaluation program, with more 5,500 practices earning the NCQA designation as medical homes.